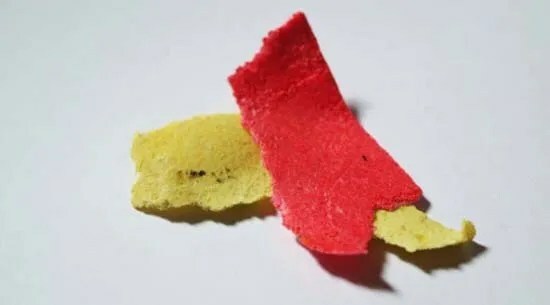 This is made with the Lush “Cocktail” scent. 🙂 And I can totally smell that. Yay. I have the perfume. 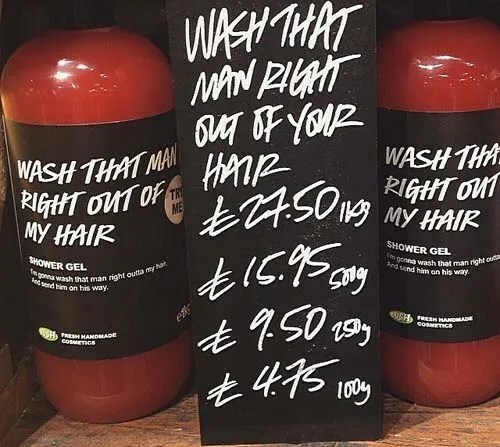 There’s also a Shower Sheet called “Wash That Man” which is red paper soap and has the scent of “Wash That Man Right Out Of My Hair’ shower gel . 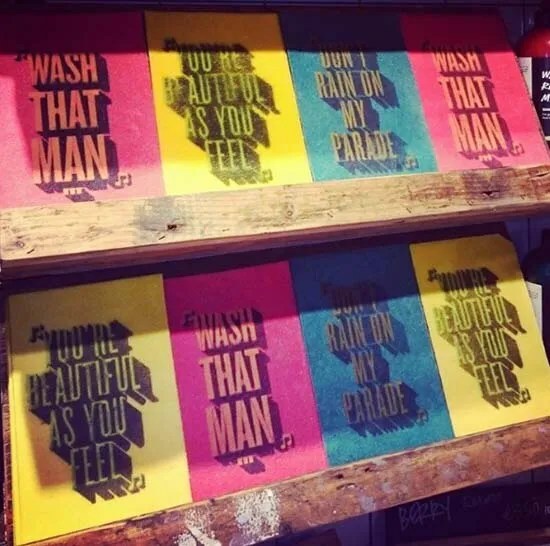 Posted on May 13, 2015 by Lushalot	• This entry was posted in Lush Oxford Street store exclusives, Lush' 'B Never Too Busy To Be Beautiful' 2005-2009 London boutique Products, New, Shower Gels. Bookmark the permalink.